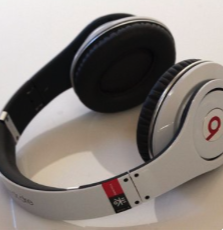 The M Report: Podcast: How loud is too loud on your headphones? Podcast: How loud is too loud on your headphones? More people are using headphones as must-have accessories in this high-tech, plugged-in kind of environment where media and music are easily accessible at the tap of a screen or the click of a mouse. But a study by the National Institute on Deafness and Other Communication Disorders says that more than ten percent of people above the age of 12 have a hearing loss in both ears. For the full interview with Missy Enaje's interview with Assistant Professor Stephen M. at Appalachian University, check it out here: "How loud is too loud on your headphones?" Our partners at 2kreviews were able to review some of the best earbuds of 2017. The best part? They're all under $100 and the sound quality doesn't lose its quality. Read the 2kreviews blog post here: "7 Best Earbuds [In Ear Headphones] in 2017 under $100"